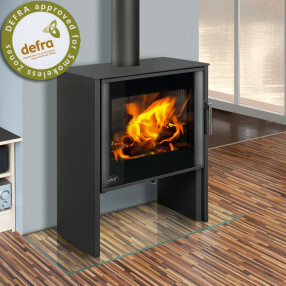 The AGA Hanwood Woodburning Stove is a contemporary woodburning stove with a large viewing window making itself the heart of any room. Ideal for the family home, this model has a handy store underneath for you to store your logs. The stove is very controllable and the secondary airwash helps to maintain a clear glass giving you the very best views of the flame.